The most established and highest rated crane rental service in Texas. 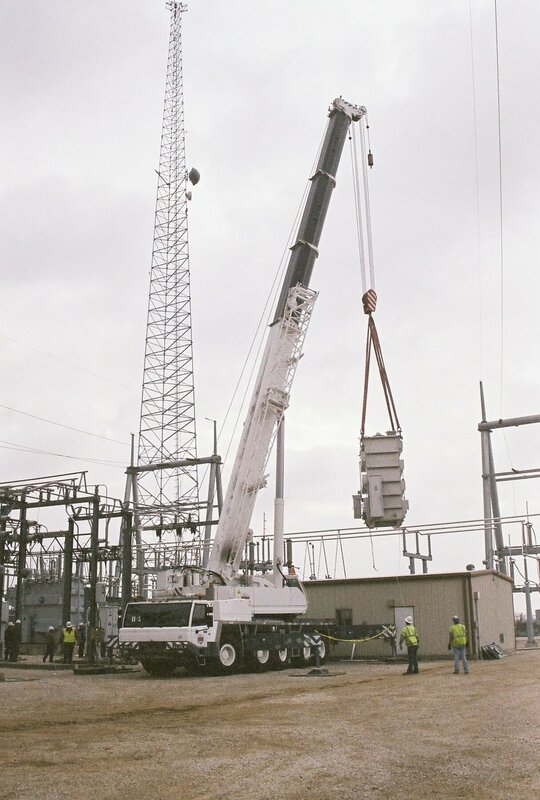 Since 1976, we've provided certified, safe and reliable crane rental services at competitive prices to Austin, San Antonio, Dallas, Corpus Christi and Houston. 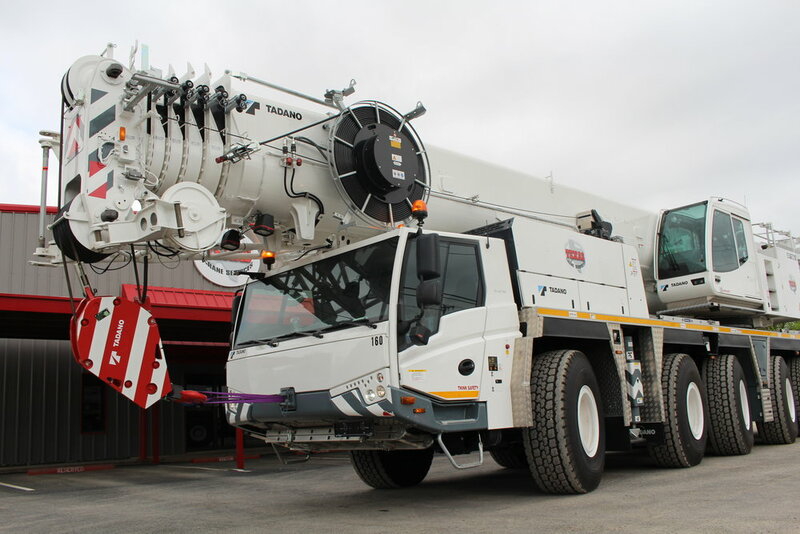 Boom trucks, rough terrain and other manned and bare cranes for rent 24/7. Call today! The Tadano ATF130G-5 Is the Newest Addition To Our Rental Fleet! 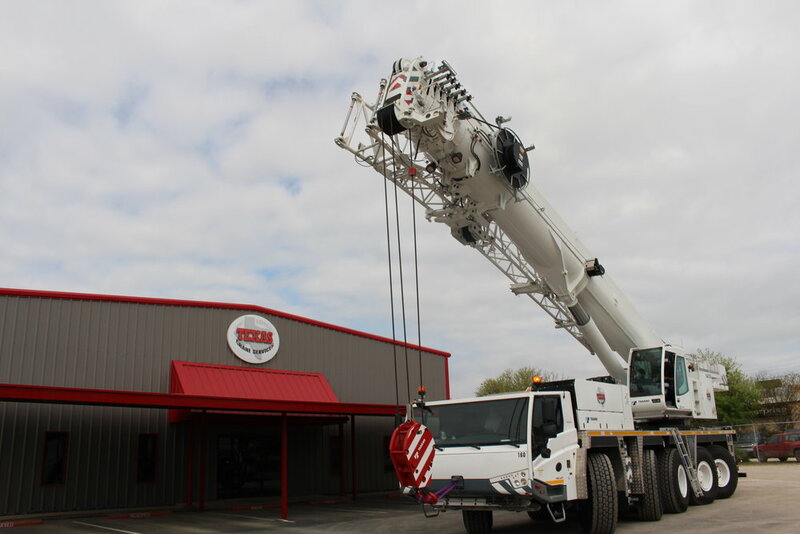 Texas Crane Services is a family owned and operated crane rental company providing fully manned crane rentals, bare crane rentals and crane sales to businesses in San Antonio, Austin and throughout Texas since 1976. All of our crane operators are highly experienced and NCCO, MSHA, PEC Safeland, OSHA 10 and RailSafe certified as well as trained in CPR and First Aid. We emphasize safety and professionalism and offer competitive crane rental prices. This commitment to safety, to fair crane rental rates and to customizing our services for every client's needs has created a long track record of success. We encourage you to visit Google and Yelp to see what other clients have been saying about our crane rental services. We provide crane services 24/7 and have a new and diverse fleet of cranes ranging in size from 15 ton to 500 tons available for daily, weekly or monthly rentals. 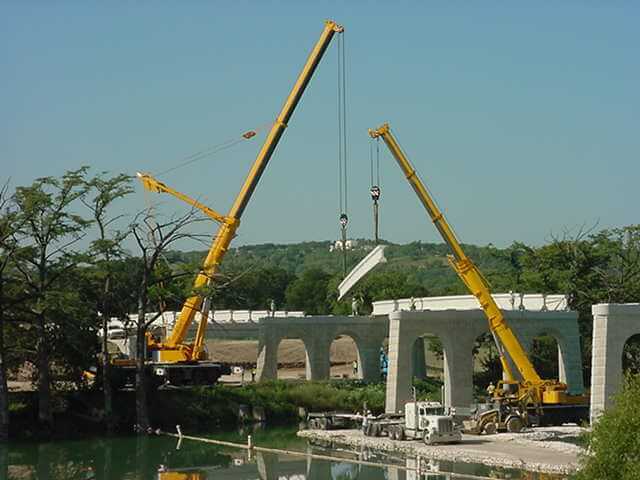 So whether you're seeking to rent a crane in Austin, a boom truck in San Antonio or another type of crane for rent in Texas, give us a call today (or use the contact form below) for a free quote and consultation. Texas Crane Services provides its highly rated crane rental services and operators to a variety of industries in San Antonio, Austin and all of Texas including energy services (includes all wind and power related companies as well as municipal electric companies), oilfield services, road and heavy highway construction, commercial construction and maintenance, plant (made up of manufacturing and industrial facilities), telecommunications, railroad maintenance and residential construction and maintenance.